SILANG, Cavite — The 9th Sumilang Festival, which is celebrated in this historic town from January 20 to February 8, comes with pomp and pageantry but with more meaningful celebration for the town’s 424th founding anniversary and homage to its patron saint “Our Lady of Candelaria”. Phillip Lacson Medina, chairman of the Sumilang Fiesta Executive Committee and member of the Silang Heritage Council, shared that this year’s celebration also marked an event by the faithful community with the Episcopical coronation for the Blessed Mother of Silang by His Eminence Bishop Reynaldo Evangelista of the Archdiocese of Imus on January 31. Medina said the town was originally established as a parish on Feb. 3, 1595. 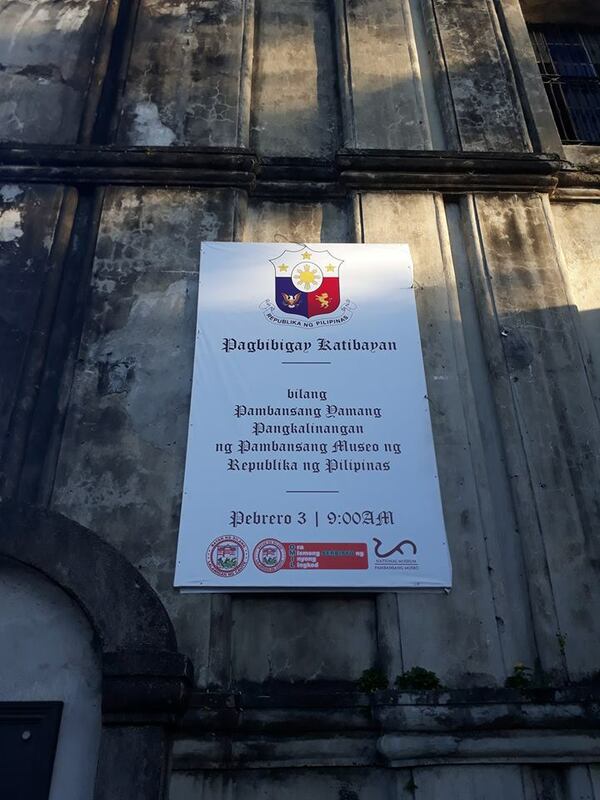 Thus, present officials of the Silang Parish Council for Culture and Heritage (SPCCH) and the Parish Pastoral Council (PPC) filed a petition, through their Parish Priest Marty Dimaranan, before the Imus Bishop who granted the request for the Episcopal coronation in celebration of its 424 years as a parish. “Credit also goes to various religious organizations with the barangay-based Basic Ecclesial Communities (BEC) who led the fundraising campaign from the faithful, and the proceeds were used to purchase the sterling silver fineries and regalia in honor of the Blessed Mother’s devotion to the community of Silang,” he added. Medina described the solemn occasion spirited by the 120-strong choir composed of men, women and children as they led the congregation in the “Awit ng Papuri” (song of praise) as the coronation procession ensued. As part of the ceremony, the community organizations offered two silver crowns to the bishop while a youth representative, as part of the church’s observance for the “Year of Youth”, brought the silver candle to the altar. Medina said the sacred rites were amazing, bringing goosebumps to the congregation, as they witnessed Rev. Father Marty Dimaranan place the first crown to the Santo Niño image. As Bishop Evangelista crowned the Blessed Mother, the parishioners chorused to rousing and joyful shouts “Viva de la Virgen de Candelaria! Viva Reina de Silang! (Hail to the Blessed Virgin of Candelaria! Hail to the Queen of Silang!). “It was an emotional pandemonium for the crowd as others gleefully cheered while others cried in joy,” Medina said. 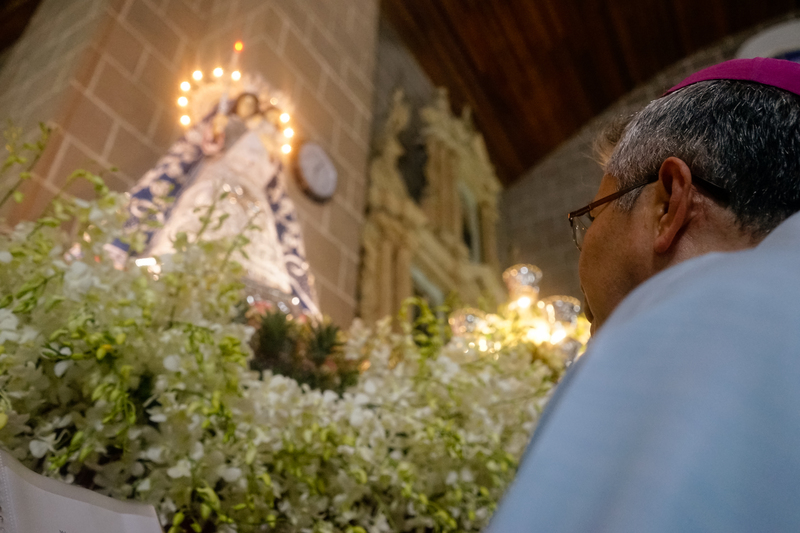 The traditional homage to the town’s patroness “Our Lady of Candelaria” took centerstage during the 20-day festivities in the centuries-old church, which parish edifice complex showcases the Retablo Mayor and Mayores, or the votive altar pieces that were conferred as National Cultural Treasures (NCT), through a historical marker installed by the national museum.